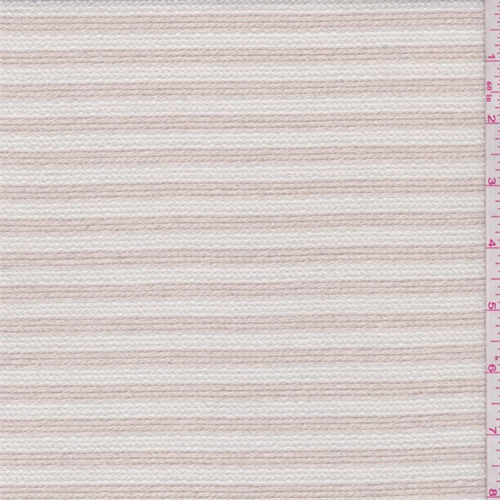 Mid to light weight polyester blend fabric with a white slubbed and sandy beige embroidered horizontal yarn dyed stripe. Soft hand with a good drape. Ideal for suits, slacks and lined jackets. Hand wash cold or dry clean for best results.